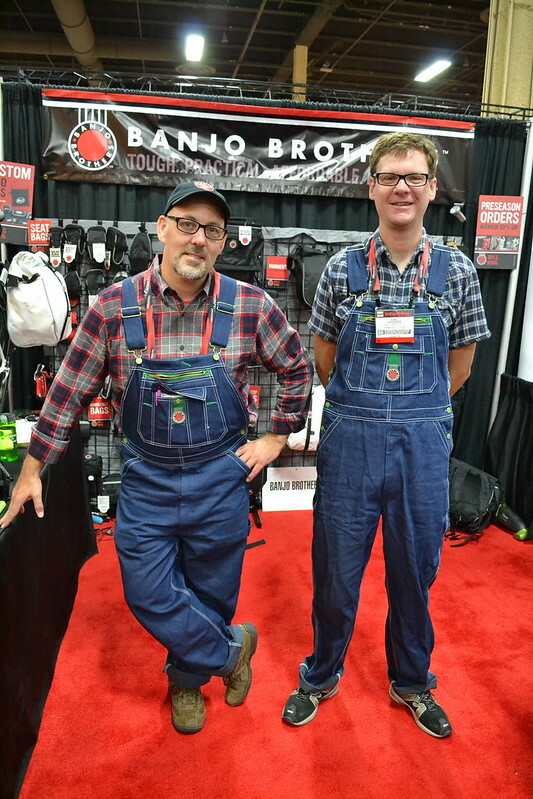 We met up with our pals Mike and Eric from Banjo Brothers in Las Vegas. 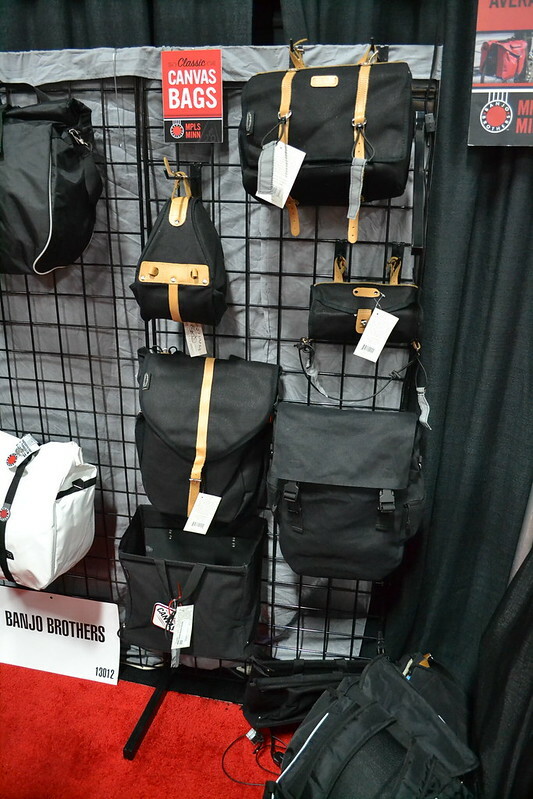 They were gracious enough to spend a good chunk of their time shooting the breeze with us and telling us about some of their new products. 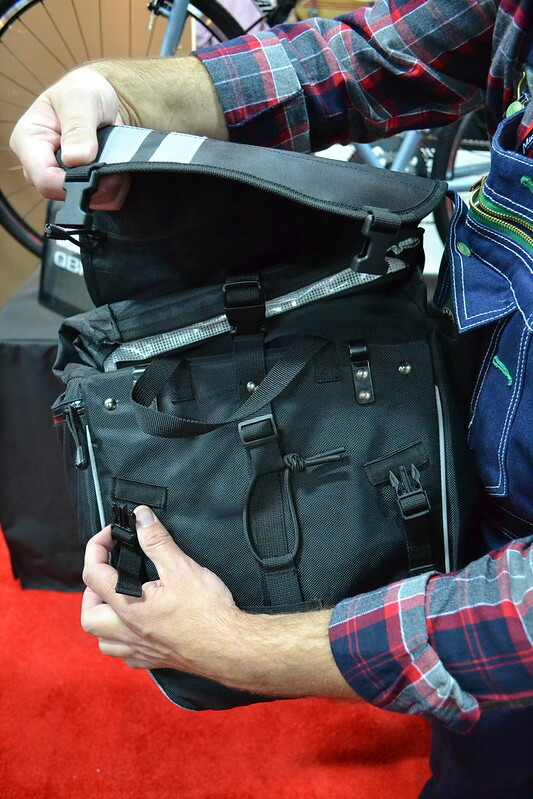 The top flap swings both ways, serving to cover the pannier hooks on one side, and the backpack straps on the other. Presto changeo! 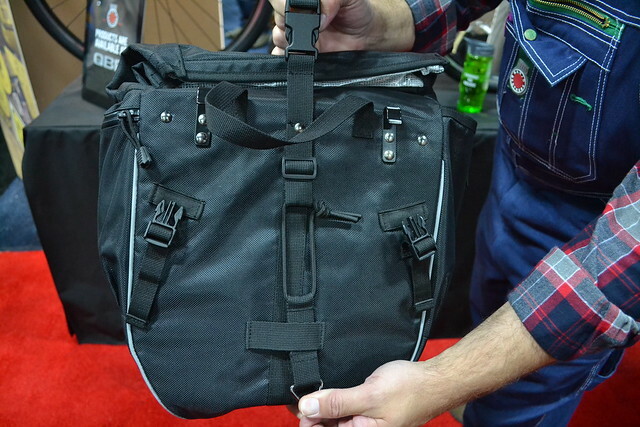 This bag will retail for around $89, if my memory serves. It was great to talk to Mike and Eric — they’re good guys who are passionate about what they do, and they are always SO nice to us! 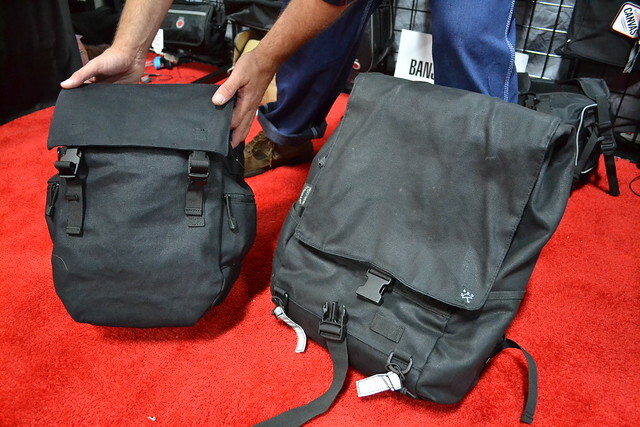 Check out their full lineup by visiting their website. 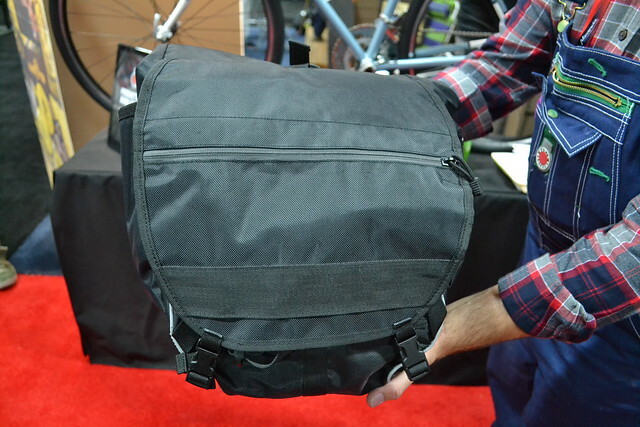 Oooh.. a convertible backpack-pannier… I’m curious to see their design for this bag.